Enjoying all the advice and homes inspiration you get from Realhomes.com? The great news is you can get even more of your interiors fix with Real Homes magazine. A must-read for interiors addicts, Real Homes magazine is packed full of expert advice and inspiring case studies, so it’s perfect for anyone who’s passionate about improving their home. 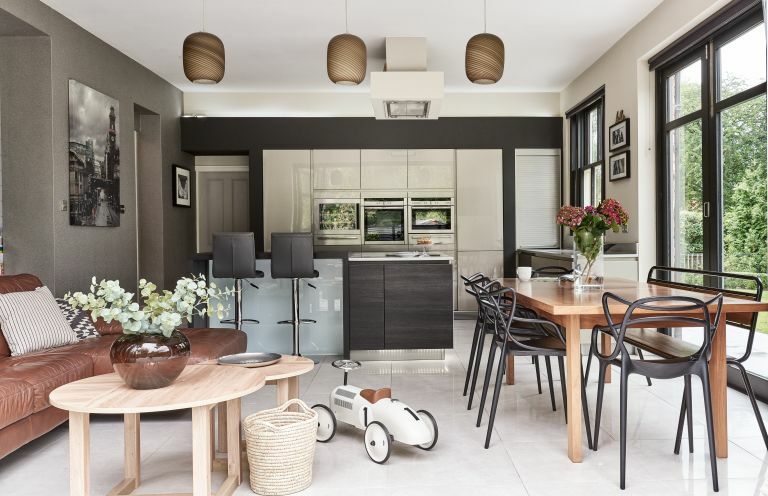 Whether you’re looking for practical advice about project planning, brilliant case studies on everything from modern kitchen extensions to loft conversions, or on-trend buys for every room in your home, Real Homes magazine has it covered. With dozens of features from quick weekend projects and easy home updates to inspiring real homes and the latest decorating trends, each monthly issue of the magazine has everything you need to make your dream home a reality. 50+ pages of real homes with inspiring before and after images. Looking for a quick way to update your space over a bank holiday weekend? Don't miss our easy-to-achieve weekend decorating projects. Find out how you can boost your home's kerb appeal with our guide to exterior makeovers. Add space and value to your home with our round-up of the best modern conservatories. Refresh your interiors with this season's hottest colour combination, and discover how to use it to great effect in your own space. Discover why city living and gardening can go hand in hand with our top tips for going green-fingered. Don't miss our pick of the best new buys for your home this month. To get your 2019 home improvement project off to the best start, why not treat yourself to a subscription to Real Homes magazine? In our fantastic Spring Sale, you can get five issues for just £5! You’ll get hundreds of interiors ideas delivered direct to your door very month, as well as free tickets to the Homebuilding & Renovating live shows.